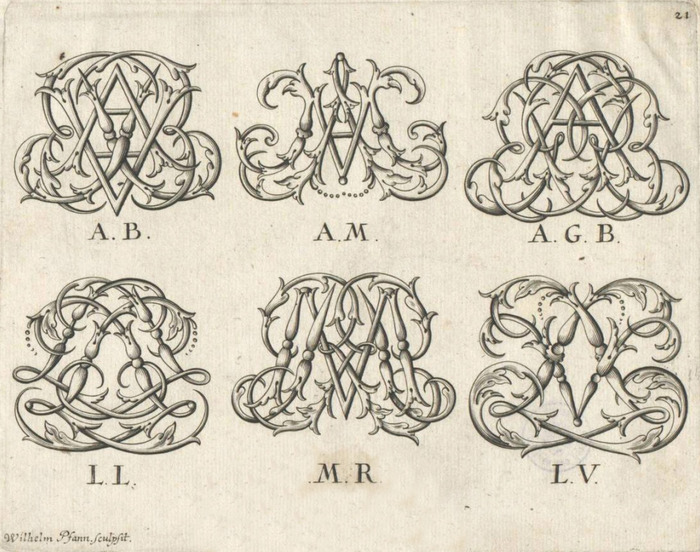 One page, covering the pairs AL through AT, from a book of monograms entitled Schul der Pallas (The School of Pallas), engraved by Johann Baptista Homann. This copy is owned by the Österreichisches Museum für angewandte Kunst (Austrian Museum of Applied Arts), more commonly referred to as the MAK. This page contains a single entry by Aaron Macks published on October 7, 2015 11:02 AM. De Bellis Macedonicis was the previous entry in this blog. Your Home is Your Cathedral is the next entry in this blog.